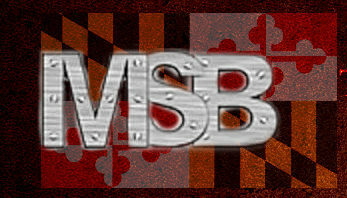 The Baltimore Orioles take on the Houston Astros in the middle game of the three-game set Tuesday. The Orioles lost last night 6-1 and are now 1-3 on the season. 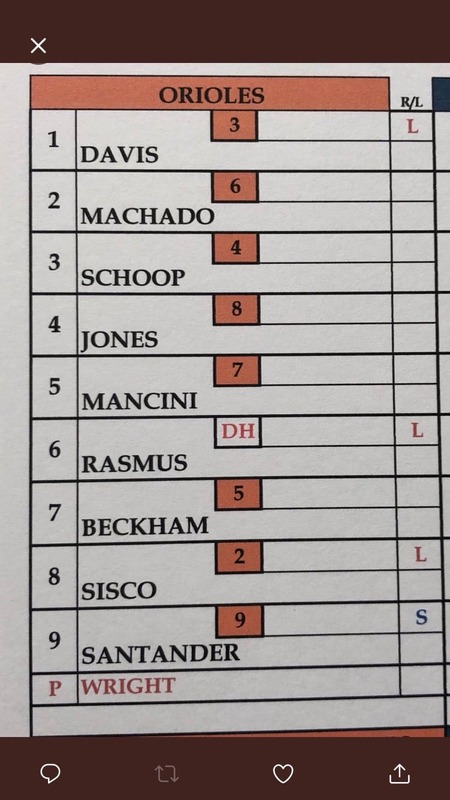 Mike Wright Jr. will take the mound for the Orioles in his 2018 debut against Justin Verlander of the Astros. Chris Davis continues the bat leadoff despite his slow start to the season. 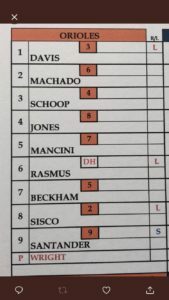 Chance Sisco is back in the lineup at catcher and Anthony Santander will play right field.